Pittsburgh Glass Center is located in the Friendship/Garfield neighborhoods on Penn Avenue in the East End. Commonplace Voluto - A coffee shop with an amazing pour and delicious light bites in an inviting environment. Primanti Bros. - Famous for huge sandwiches with fries piled on top, and other tasty bites and brews. Fish Nor Fowl - A unique American restaurant from the Richard Deshantz Restaurant Group with "thoughtful usage of ingredients and preparations"
Spork - Small plates, cured meats, and classy cocktails. Between Negley and Mathilda avenues, is a growing hub for the arts. The Penn Avenue Arts Initiative (PAAI) acts as a catalyst for attracting and enticing artists to live and work in the neighborhoods along the Penn Avenue corridor. 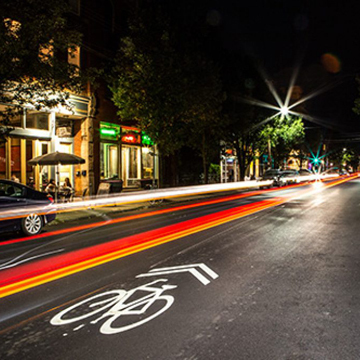 Get more details about Penn Avenue. When Pittsburgh Glass Center opened, high-rise apartment complexes blocked the view of East Liberty, a once vibrant commercial center in 1940s and '50s. In early 2000, the apartment buildings were demolished opening the gateway to this growing neighborhood. 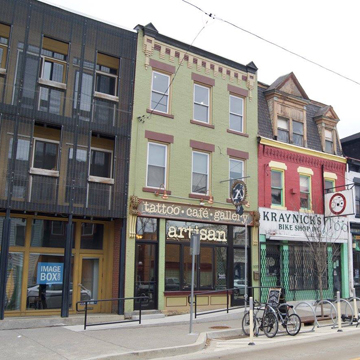 In East Liberty big developments like Whole Foods Market and Target intermingle with independent businesses like Zeke's Coffee, Dinette, and Kelly's Bar. 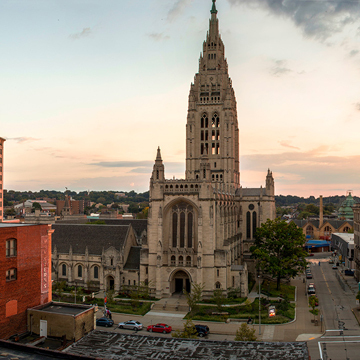 The neighborhood is an easy walk from Pittsburgh Glass Center where you can find anything from groceries to fine dining, BBQ or a beer. Get more details. 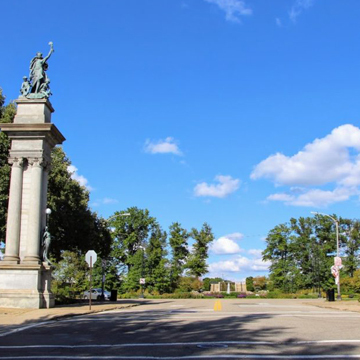 This is a cool little residential neighborhood surrounding Highland Park, one of Pittsburgh’s most beautiful parks with a Victorian-style garden and easy trail for walkers and joggers that circles the local reservoir. The park also shares a border with the Pittsburgh Zoo. Bryant Street in Highland Park is a hub for dining in Pittsburgh with a quaint community coffee shop right around the corner on Highland Avenue. Get more details. 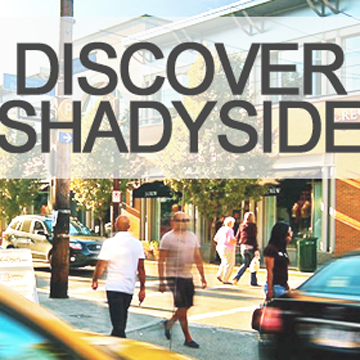 Home to independently-owned shops, studios and art galleries that runneth over with one-of-kind finds. Creativity runs deep in Lawrenceville and locally-made goods are strongly represented. In fact, you might just be buying your favorite new thing directly from the artist who created it. Lawrenceville restaurants serve up the flavors you savor, from home-style breakfasts through late-night bites. The menus at the independently-owned restaurants succeed at drawing from our past and pushing the envelope. Multi-generational Lawrenceville mainstays attract loyal customers for “world-famous” fish sandwiches and old-world Italian favorites. Newer ventures expand into vegetarian, New American and global traditions. Get more details about Lawrenceville. Its tree-lined streets and meticulously maintained Victorian homes is a great area for shopping, dining and strolling. While the neighborhood is home to three business districts, each within walking distance of the others, Walnut Street is the heart of things with many shops from eclectic independents to international powerhouses. If you get hungry shopping, there are many options for dining. Get more details. PGC has a variety of lodging options for students and weekend visitors. We now have several home stay options in the neighborhood for reasonable rates. We will do our best to help you connect with other students for shared housing if you are interested in splitting the expense of accommodations. For shared housing or home stay, EMAIL or call us at 412-365-2145.